Harry’s growth through the series is matched by a slow progression into darker themes, with a touch of romance. With Harry Potter 7 (movie part 1) coming out next week, I thought I would go over the progression of the books, and what you can expect to find in them (if you’re not an HP fan like myself, or don’t have time to read these hefty books with your kids). I consider all the books, with the exception of book 7, to be solidly MG. The first three books are fine for advanced readers 8+, or even younger. Indeed, if you’re looking for a very challenging read for those precocious readers, I can’t think of a better place to start than Harry Potter Bk1-3. Books 4-6 are more mature. Characters die, romance between our heroes is introduced (although remains very chaste) and the torture in Bk5 is chilling. I remember one young man at the theatre sobbing at the end of Movie6. These are things that most kids are better able to handle at ages 10+. Book 7 is in a class by itself, largely because of the darker themes, which I think bumps it into the Young Teens (12-14) category. Many people may feel they want their younger children to read all the books, if they are interested – and the choice absolutely remains with the parent. You know your child best! But I tend to use even more caution with books that my children truly love, because they identify so strongly with the characters. Having a beloved character die, or be tortured, will have much more impact than a character in a one-off novel they happen to be reading this week. And so, I have doled out each of the books (and movies) to my boys as they get older. They eagerly await the day they can “step up” to the next novel or movie. Dark Omen (age 12) just finished Bk7 and we are going to see the movie for his birthday with some other 12 yo friends. These books are WONDERFUL reading challenges for advanced readers. Not only is the reading level high, but the complex storytelling is masterful. There is a reason why these books are beloved throughout the world and have sold more than 400 million copies. As always, these are just suggestions and you have to tailor to your own child. Mighty Mite (7yo) has already read the first two books – because he was immersed in HP from his older brothers and not easily scared. Worm Burner (9yo) has read the first three, and snuck the fourth while I pretended not to notice him hiding under the covers with his flashlight (we talked about it afterwards, and I’m not sure he even noticed the romance bits). But he’s not ready for Bk5 quite yet, so I’ve held off on that one for him. Dark Omen (12yo) has read them all, but I had to swear him to secrecy about the ending. So far, he’s obliged (turns out having a secret your brothers can’t know is big stuff to a 12 yo). I hope this helps you navigate the world of Harry Potter! And if you haven’t read these books yourselves, there is much to learn from J.K. Rowling’s writing mastery. I had no problem with my kids reading the last one at a younger age, but we had discussions. And the discussions were mostly because I could see how so much in 6 and 7 could be confusing about horcruxes and switching wands + dealing with deaths of beloved characters. I like your list and the way you break it down. @Theresa Talking about books is really the best way when the material is difficult in any way. Kids are quite adept at handling things when you talk to them about it! Thanks for stopping by! Susan, I never said thank you for your comment on my blog last month. I haven't been with it for a while and wanted you to know I appreciated your comment. Now about this blog, I love these books. I have read them over and over, and miss the characters if it has been a while. My only complaint is they aren't availible as an ebook and they are too heavy to carry around in my purse, especially the later ones. 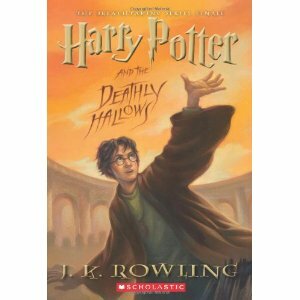 I always persuaded the 11-year-olds I teach to START THE YEAR WITH HARRY: make time to read the Harry Potter books at the start of each academic year they are intended for. Lots, who remain in contact, still are. I'm also going to bookmark this post. 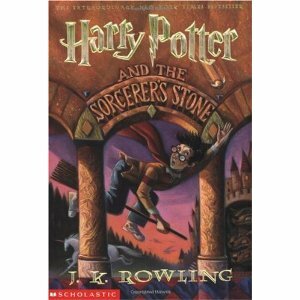 I have a seven year old and been debating whether or not to start buying the HP series. I've been working on the Percy Jackson series which he seems to be moderately interested in. @Plain Jane I hadn't realized it wasn't on e-book! Hmm…I wonder if that will change with more and more e-readers being sold this holiday season. @Elaine I LOVE that idea!! Fabulous! I'm going to have to suggest that to some of my teacher/librarian friends! @CAnn Percy is another fab series – see my review here. I think the later books get more mature, though, just like HP. Really great post, Sue! I loved the chart breakdown. My kiddo is 14, so I have no worries, but I can see how it could be a concern for parents of younger readers who love Harry. Susan, I really liked the way you disected each one! You're a marvel! @Darby Alas, I am so behind in my blog reading! Thanks for stopping by! !